When Microsoft decided to stop investing in Silverlight, many developers were faced with a tough decision. How could they migrate to modern web platforms and not throw away all the benefits of MVVM and the knowledge they gained by using Silverlight? 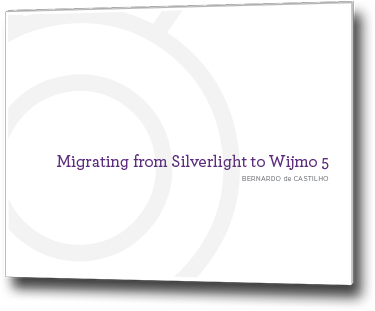 Together with the framework of your choice, Wijmo Core provides a great platform for porting existing Silverlight applications and also for creating brand new web applications faster than you ever thought possible. In his current role as CTO, Bernardo de Castilho is GrapeCity’s technical visionary and oversees, with eagle eyes, all technical aspects of the company. Bernardo is known around the office as the father of FlexGrid, the ever popular datagrid control that he designed shortly after receiving his Ph.D. in Engineering from UC Berkeley. To put his busy mind to rest, Bernardo enjoys catching up on shows he’s missed on Netflix and planning vacations to Disneyworld.